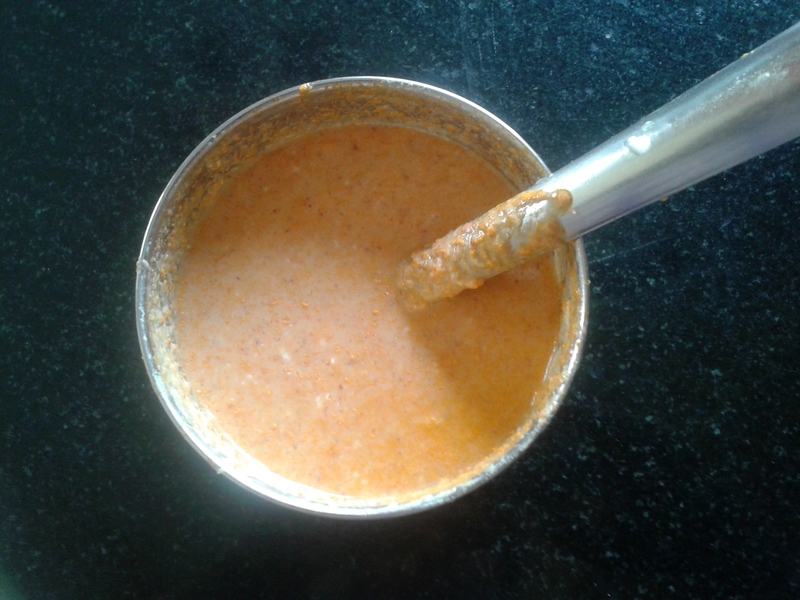 Tambuli, The Taste of South India and a great good for health side dish is a beaming blend of yoghurt and chutney. Served as a starter along with steamed hot rice before the main course, this is a super cool recipe during sweltering hot summers! Put a drop of ghee in a kadai and place it on a stove. Light the burner and on low flame, fry methi, jeera and red chillies. Stir fry till methi turns slightly brown and jeera splitters. Switch off the burner and let the contents in the kadai cool. Now grind these along with grated coconut and salt. Keep adding curd at intervals. Texture and consistency of the ground mixture depends on individual’s choice. Transfer the contents to a bowl. Seasoning is optional. Methi Jeera Tambuli is now ready.